Be a beautiful bride in this trendy mermaid wedding gown. 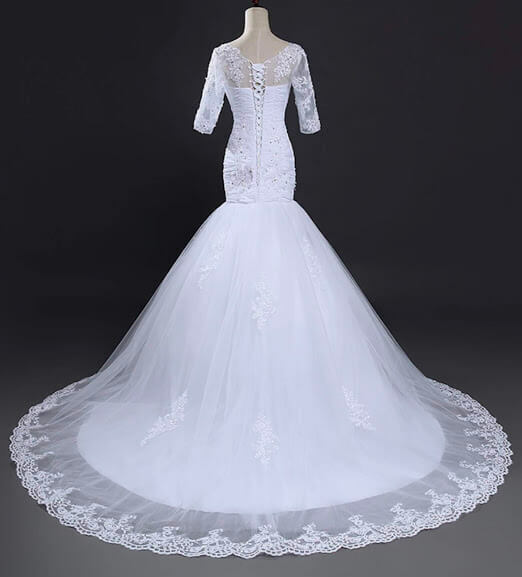 The silhouette of the wedding gown is mermaidl wedding gown. 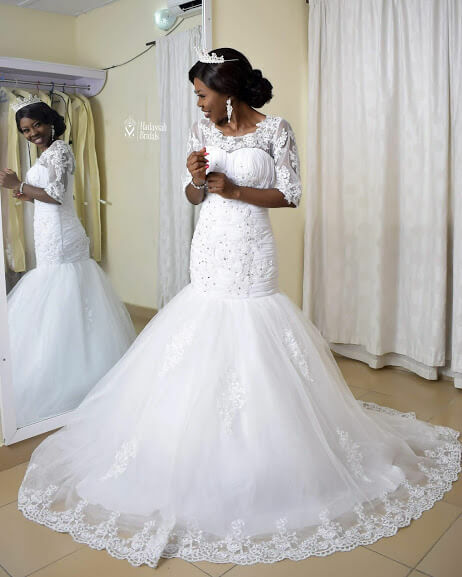 The wedding gown rental cost is #30,000 with a refundable caution fee of #10,000 for weddings in Lagos and #20,000 for weddings outside Lagos. Caution fee is paid back when the rented wedding gown is returned to the store.